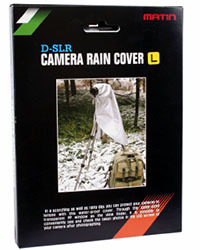 An easy way to take some great images! Black and White photography can be INCREDIBLE with a digital camera! Black and white images are very different than color images. When you look at a color image, the colors can dominate your vision. There’s less for your brain to comprehend in a black and white image, so, the contrast, patterns and shapes take center-stage. Black and white images can convey much more emotion than color images can. The viewer isn’t presented with color and contrast – only contrast. By eliminating "color" from the image, the brain doesn’t have to work as hard to interpret the image. That’s not to say that all images are best shot in black and white – some images require color to convey their story. The wonderful thing about digital photography, is that YOU can decide AFTER you’ve shot the image, if it’s best suited for black and white – and the conversion is quite simple - but not necessarily what you may think. If you want to get inspired to take black and white images, just take a look at any of Ansel Adams images. You can see some of his images here. Some of the best images to convert to black and white have strong contrast, lines, patterns, shapes, and texture. These can include storm clouds, materials with strong texture (rough concrete, stone, weathered wood, etc.) – best taken when the sun is low, geometric shapes, etc. It takes practice, but you need to learn to see in black and white, so you can appreciate which images look best as black and white. Years ago, I started shooting with black and white film. In those days, color was expensive, and I could develop and print my own black and white film fairly inexpensively. This gave me a lot of control. Plus, I got to appreciate just what a great medium black and white photography is. The eventual migration to color, added a new element to my photography, but soon I realized that color isn’t always better! Today, digital cameras shoot color images, but can be set to shoot black and white. That’s a BAD idea. By doing that, you lose the color image, as only a black and white image is saved. Also, your camera (doesn’t matter WHAT camera you have) does a very poor job of the black and white conversion. 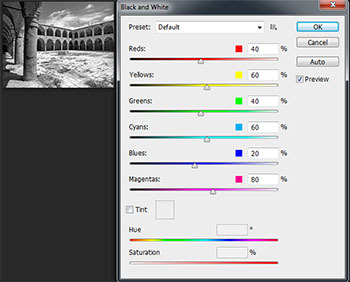 To properly convert a color image to black and white, you need to post-process the image. You can use Photoshop, Elements, Lightroom or many other programs to do this. I use Adobe Photoshop, so, I will be using that to show you examples on how to convert your images, but the process is very similar for other programs. In the "old" film days, we used to use colored filters to capture black and white images so that they had the impact" we were looking for. Ansel Adams was a master of this. Yellow, red and green filters were commonly used in black and white photography. 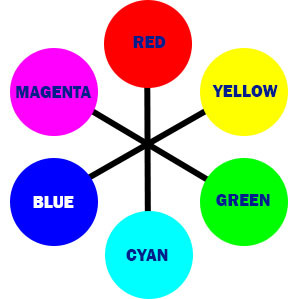 Knowing the complementary colors (i.e., red & cyan, yellow & blue, magenta & green, etc.) allowed you to manipulate the black and white image – usually to add contrast. Here are the Complementary colors - for example, green is the complementary color of magenta, etc. Color filters typically come in the colors red, yellow, orange and green. Using color filters is fairly simple, once you understand how they work. A green filter allows green light to pass, but blocks the complimentary/opposite color, magenta, etc. If you wanted to darken a blue sky, you could use a red, orange or yellow filter (depending on the intensity you wanted). If you wanted to darken green foliage, you would use a red filter. To lighten foliage, you would use a green filter, etc., etc. Unfortunately, converting an image to black and white can cause "artifacts", "banding" or "noise" in the converted image, especially in highly saturated areas of an image. For this reason, RAW images are MUCH preferred over JPEG, as there are MANY more colors in RAW images than in JPEG images, which help create smoother grayscale tones. Today, the digital darkroom allows us easily to do this AFTER the shot is taken. While there are many ways to convert a color image to black and white (LAB, HSL, Color Channels, etc., etc. ), most image editing programs provide an easy way to do this, and in most cases it’s all you need. In fact, image editing programs probably provide more than one way to do this. Just as having your camera shoot an image in black and white is a bad idea, some of the methods your image-editing program provides are equally bad. You can convert any image to black and white by "de-saturating" it – that is, removing all color saturation. This is a very poor way to convert the image! 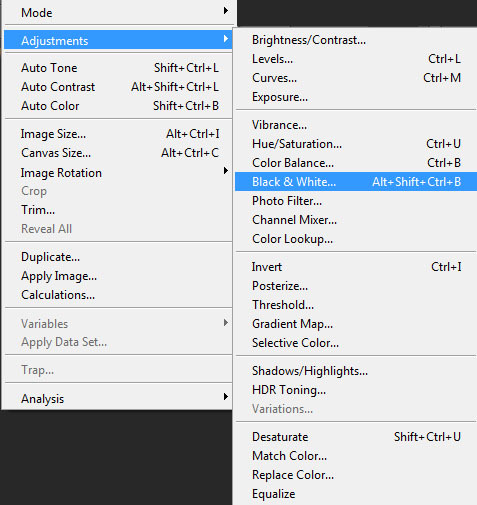 In Photoshop, from the "Image | Adjustments" menu, there’s an option labeled "Black and White". From here the magic starts. We can select a different "preset" (other than "Default") or we can manipulate the sliders without using the presets. Basically, each slider has the effect of using a colored filter when taking the image. So, if we want to darken the sky, we’d use a red filter. Here is the effect of three of the presets: Red Filter, Green Filter and Blue Filter. 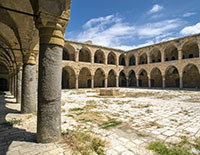 You can see how each changes the image a bit, especially the sky and the columns on the left. It would be difficult to use multiple filters when taking the image, considering that stacking multiple filters often degrades images. But, using the digital darkroom, it’s no problem at all! And you don’t have to anticipate in advance which filters to use, as you can try using as many as you want, with each having a varying degree of intensity. As you can see, black and white can be effective with images that have dramatic lighting and/or texture. Give black and white a try – you may be very surprised that images you didn’t necessarily care for in color, work very well as black and white.